• Innovative adjustable tiller handle is designed for comfortable left- or right-hand operation. 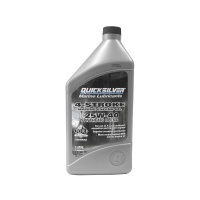 • Electronic Fuel Injection (EFI) delivers quick starts and crisp throttle response. • New twin-cylinder powerhead produces outstanding torque for great acceleration. • Lightweight design offers enhanced portability and improved performance. • New engine mounts keep vibration off the boat and tiller handle. • Maintenance is made easy with no-drip oil changes. • Ready for a wide range of applications; choose rope or electric starting, tiller or remote control, and up to three shaft-length options. A new low-friction, single-overhead cam powerhead delivers greater torque. Meanwhile, overall weight is decreased by 4.5 kilos – a significant reduction that makes a big difference on small boats. More power and less weight improve on-plane performance and top speed. 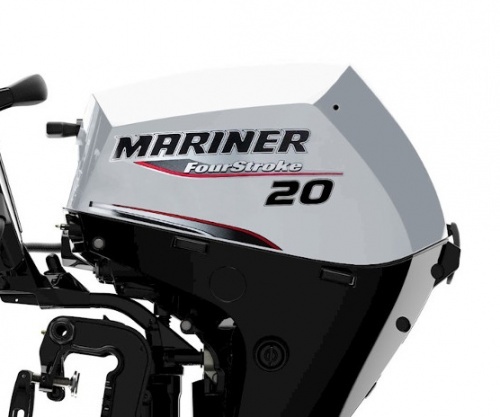 These are the quickest, fastest and strongest outboards in the category! The FourStrokes’ Electronic Fuel Injection (EFI) system doesn’t require a battery for rope-pull starting. EFI also produces easy starts – hot or cold – and outstanding fuel efficiency. It self-adjusts to deliver peak performance according to weather and elevation. And most maintenance issues related to modern fuels are eliminated by the pressurized fuel system. Throttle response is always crisp. The new centre-mounted tiller provides simple horizontal adjustment and reversible throttle grip rotation for port or starboard installation. Vertical down-stop is also adjustable, so you can dial in this tiller to fit the boat and the operator’s reach and preference. The tiller locks up at 45 or 73 degrees for fishing or trailering. The large shift lever is located forward on the tiller for easy operation, and a new knob on the tiller adjusts throttle friction.